Below you fill find all funeral homes and cemeteries in or near Bridgeton. Suburbs of Bridgeton: Hazelwood, Bridgeton Terrace. Bridgeton is also known as: St. Louis County / Bridgeton city. Their current mayor is Mayor Conrad Bowers. Zip codes in the city: 63044, 63045. Some of the notable people born here have been: Brent Roam (actor), Eric Schmitt (lawyer), David Daskal (actor and film producer), and Janet Jones (actor). Bridgeton is a second-ring suburb of Greater St. Louis in northwestern St. Louis County, Missouri, United States. Bridgeton serves as the primary transport hub within Greater St. Louis. The population at the 2010 census was 11,550. Portions of Lambert-St. Louis International Airport are within Bridgeton. It was revealed on September 15th, 2018 that Georgeanne Elizabeth "Philip Marie Sister" Link passed away in Bridgeton, Missouri. Link was 93 years old and was born in Quincy, IL. Send flowers to express your sympathy and honor Georgeanne Elizabeth "Philip Marie Sister"'s life. It was written by Current Local on January 18th, 2018 that Roy Leon Wallace perished in Bridgeton, Missouri. Wallace was 81 years old. Send flowers to express your sympathy and honor Roy Leon's life. It was written by Current Local on November 2nd, 2017 that Margaret Naomi Wallace (Nunley) died in Bridgeton, Missouri. Ms. Wallace was 78 years old. Send flowers to express your sorrow and honor Margaret Naomi's life. It was noted by Unterrified Democrat on August 16th, 2017 that Dorothy "Sister Irene Marie" Schmitz passed on in Bridgeton, Missouri. Schmitz was 87 years old. Send flowers to share your condolences and honor Dorothy "Sister Irene Marie"'s life. It was revealed by Unterrified Democrat on February 15th, 2017 that Helen Sister Fick died in Bridgeton, Missouri. Send flowers to share your condolences and honor Helen Sister's life. It was revealed on May 8th, 2016 that Joanne Sister Whalen died in Bridgeton, Missouri. Whalen was 85 years old. Send flowers to share your condolences and honor Joanne Sister's life. It was noted on March 31st, 2016 that Mary Lou Jester (Harvill) passed away in Bridgeton, Missouri. Ms. Jester was 84 years old and was born in Mt Vernon, IL. Send flowers to share your condolences and honor Mary Lou's life. It was revealed by Kent Reporter on January 8th, 2016 that Michele Mariel McCarthy (Gillete) perished in Kent, Washington. Ms. McCarthy was 37 years old and was born in Bridgeton, MO. Send flowers to share your condolences and honor Michele Mariel's life. It was revealed on September 12th, 2015 that Gary Lee Murrish passed on in Bridgeton, Missouri. Murrish was 61 years old and was born in Kearney, NE. Send flowers to express your sorrow and honor Gary Lee's life. It was reported by Current Local on September 10th, 2015 that Albert Ray "Baby" Morlen passed away in Bridgeton, Missouri. Morlen was 79 years old. Send flowers to share your condolences and honor Albert Ray "Baby"'s life. The 2003 population estimate by the United States Census Bureau Census Bureau was 15,515, down 35 people from the United States 2000 Census census. 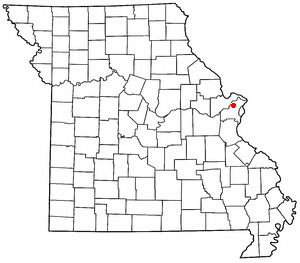 Louis, located in northwestern St. Bridgeton is a second-ring suburb of St. Louis County, Missouri Louis County. . The official website for the city of Bridgeton is http://www.bridgetonmo.com/. Listing all funeral homes in Bridgeton, Missouri so you can easily send flowers to any location (same day delivery) or find any funeral service. Find BBB Accredited Funeral Directors near Bridgeton, MO - your guide to trusted Bridgeton, MO Funeral Directors, recommended and BBB Accredited businesses. Find BBB Accredited Funeral Services near Bridgeton, MO - your guide to trusted Bridgeton, MO Funeral Services, recommended and BBB Accredited businesses. We work with local florists and flower shops to offer same day delivery. You will find budget sympathy flowers in Bridgeton here. Our funeral flowers are cheap in price but not in value.